Android Fragment is the part of the activity, it is also known as sub-activity. There can be more than one fragment in an activity. 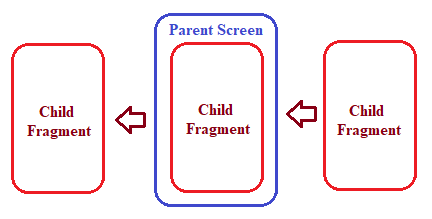 Fragments represent multiple screens inside one activity. 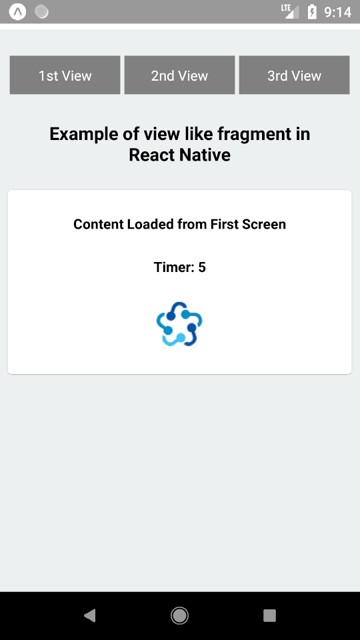 There is nothing like a Fragment Component in React Native to make a view like the Android Fragment for Android and IOS. 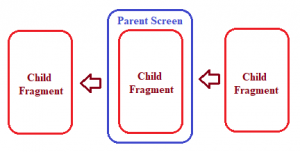 To make the fragment view we have to manage the visibility of the child view using state. In this example, I have made a state to store a number. 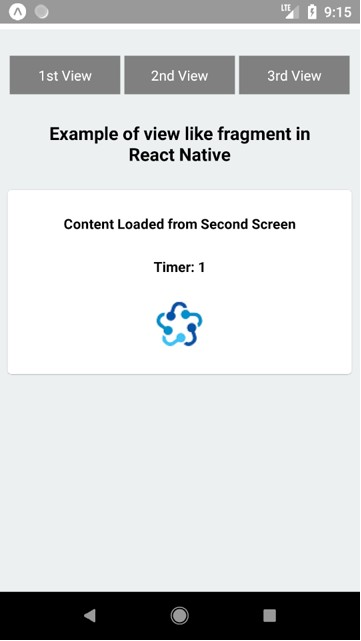 This number will be used to return the screen we want to show using a function. So let’s get started. 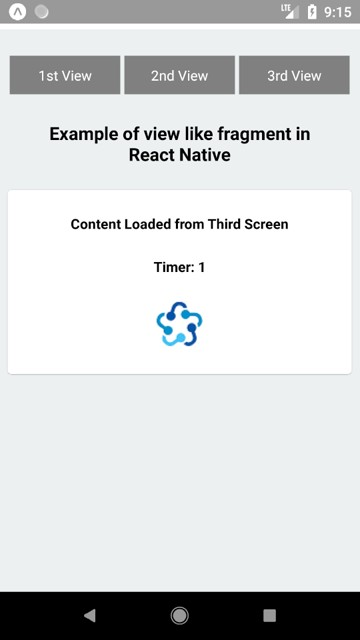 To start with this example you need to create a directory named components in your project and create three files FirstScreen.js, SecondScreen.js, and ThirdScreen.js in it. 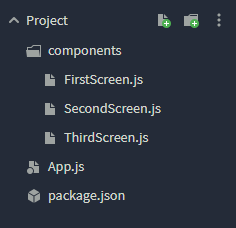 Open components/FirstScreen.js in any code editor and the Replace the code with the following code. // you can define N number of key value paires like JSON. // Simple interval fundtion which will run in every second. Open components/SecondScreen.js in any code editor and the Replace the code with the following code. Open components/ThirdScreen.js in any code editor and the Replace the code with the following code. 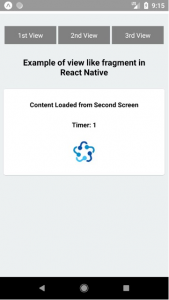 This is how to make a view like Android Fragment in React Native for Android and IOS. If you have any doubt or you want to share something about the topic you can comment below or contact us here. There will be more posts coming soon. Stay tuned!